Living is a full-time job. Find something to do! Bangkok - I hit it and quit it! If I could name Bangkok after a candy, it would be Sour Patch Kid. 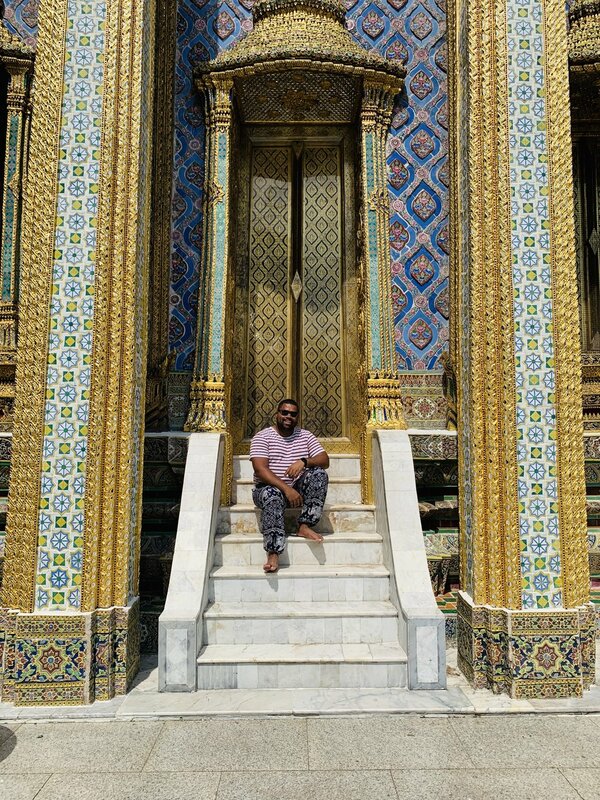 After my stay in Phuket for four nights, I hopped on a quick AirAsia flight to Bangkok (DMK airport). The flight was only a little over an hour, HOWEVER…the taxi ride to the hotel was over two hours. Once we landed, we headed over to the metered-taxi area to quickly catch a ride…so we thought. First of all, the metered taxi waiting area is like a DMV. You take a number and wait for it to be called before you can get matched with a taxi. When we got our number, we realized there were about 120 numbers to be called before us…F&%$ that! We walked out and ended up taking a taxi ride from one of the people offering taxi rides outside of the metered area. It cost 600 BAHT (about $18) which was only about $6 more expensive than the estimated 400 BAHT that metered taxis were to cost. I’m guessing the extra 200 BAHT is what the cab driver paid the guy to flag us down…sort of like a commission. Anyway, we get in the car and we are riding along, just excited to be in Bangkok! Then we immediately hit traffic. Like…the traffic was constant and there were bouts of 20 minutes or so where' we’d be at a standstill. Once we finally got into the city, I was excited that per my Google Maps app (yes, I’m the guy who keeps my map handy while drivers are getting us to our destinations because I want to make sure they are going the right way). Good thing I did…he made a wrong turn and was taking us to a hotel that wasn’t ours! I tried to explain to him that we were staying at the Royal Orchid Sheraton Hotel & Towers. However, he couldn’t speak English so he didn’t know what I was talking about. I even pulled up a picture of the hotel and he was confused. He ended up stopping somewhere to get help from others before finally getting us to our hotel. Then, when we finally got to our room, we realized they booked us in the wrong type of room. However, I will say that the customer service at the hotel was great, so when I called back down to the front desk to let them know, they sent someone up right away to take us to our new room without us having to go back downstairs. Royal Orchid Sheraton Hotel & Towers in Bangkok. View from my bed at the Royal Orchid. So…my first couple hours in Bangkok were filled with frustration, annoyance, and a bit of anger. This may also have been because I hadn’t eaten since breakfast, so once we put our bags down, I went for a walk in the area and picked up some street food (delicious and cheap as hell) and my bad mood was immediately lifted. Then, I just took some time to walk around the area and explore before heading back to the room to get ready to hit the streets. That evening, we hit up a place called LEVELS. 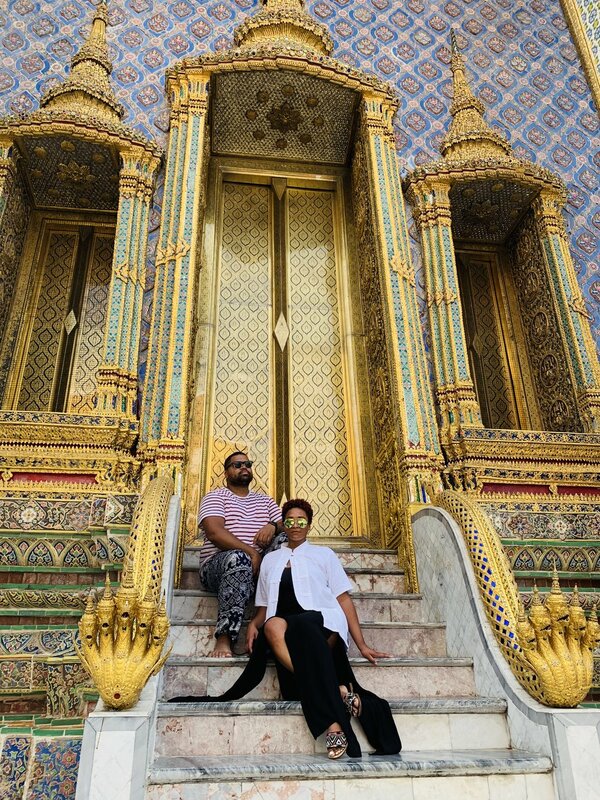 One of my friends, Victor, connected me with his friend, Sheena Knight who was doing a residency in Bangkok. So, we wanted to see her perform with Foreign Exchange. Great atmosphere and the group put on a great show! 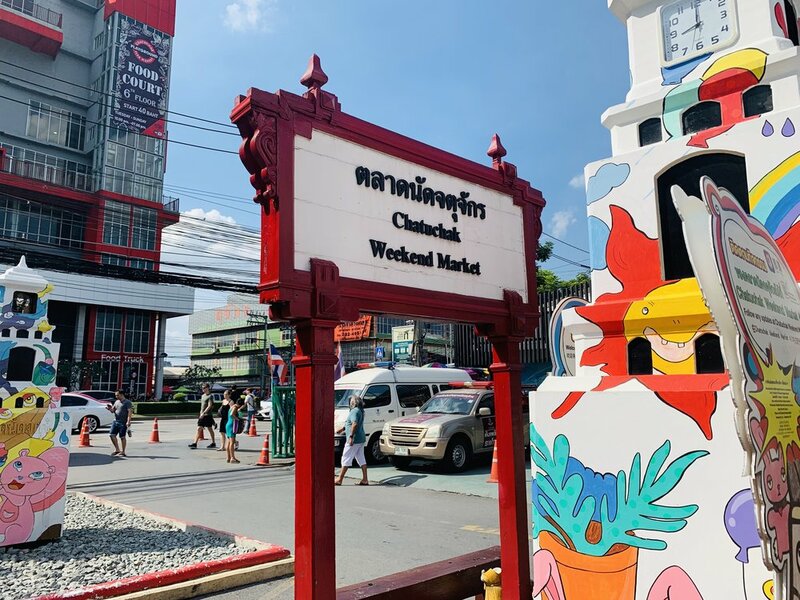 Because we were visiting during the weekend, we lucked out and was able to visit the infamous Chatuchak Weekend Market. We got there by taking the sky train (highly recommended form of transportation to avoid Bangkok’s hellacious traffic). 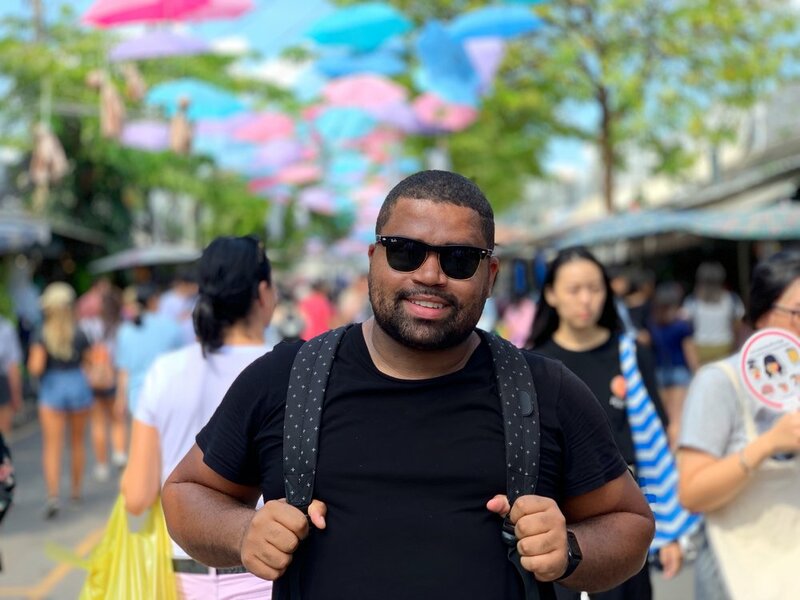 With over 15,000 stalls at the weekend market, there was no way we were going to see everything…but we certainly tried. Though I didn’t buy much from the market, I certainly ate and drank my way through it. ProTip: Get the fried chicken! 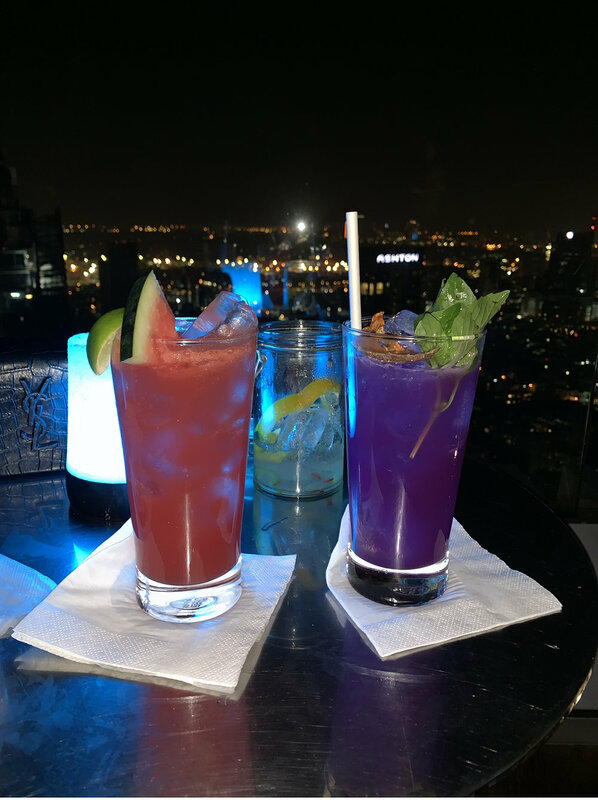 That evening, we wanted to check out one of Bangkok’s famous rooftop bars. There are a few to choose from, but we went with Octave, since that was specifically recommended by one of my friends. 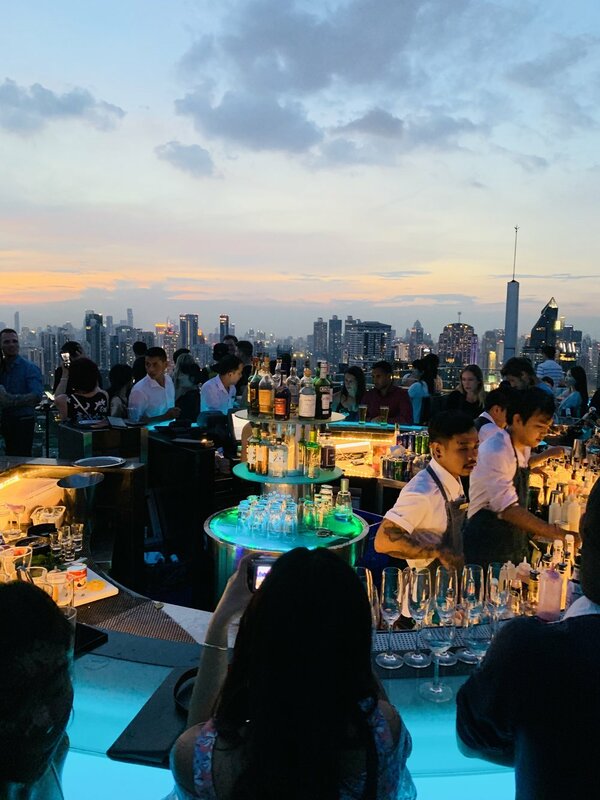 ProTip: Try to get to Bangkok’s rooftop bars before sunset so you can get a good seat and so that you can get a great view of the actual sun setting. 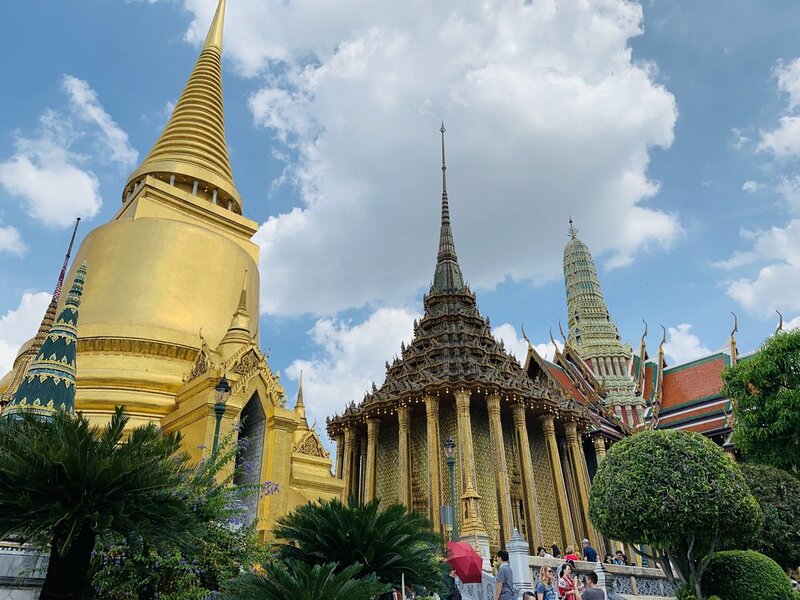 On our last day in the city, we decided to hop on the ferry and sail up to the Grand Palace. Note: You cannot wear shorts or sleeveless shirts there. So, if you show up improperly dressed, you can buy pants and tops outside of the palace. Take your time when you’re inside, and take all its beauty in! 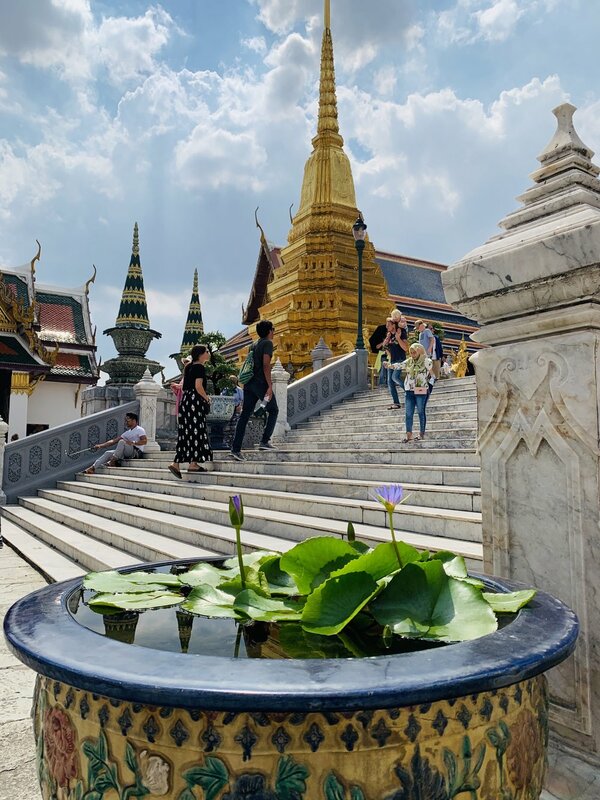 All in all, I liked Bangkok. It was a great city vibe. If I could plan my trip all over again, I would add one more night there. It’s not a place I would want to stay more than three nights, though. If I wanted to explore a congested city with terrible traffic, I’d just step outside of my Brooklyn apartment in NYC. 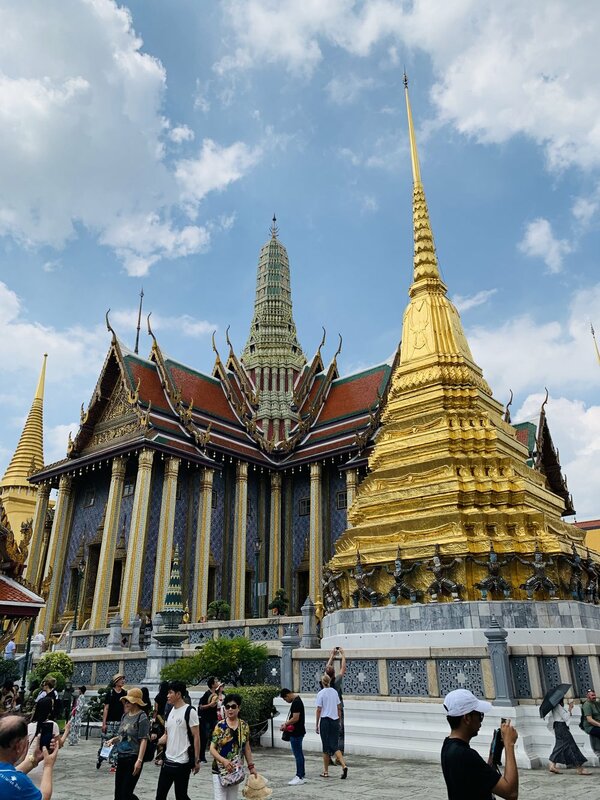 What are some things you enjoyed doing in Bangkok? Or, what do you plan to see or do when you visit there next? 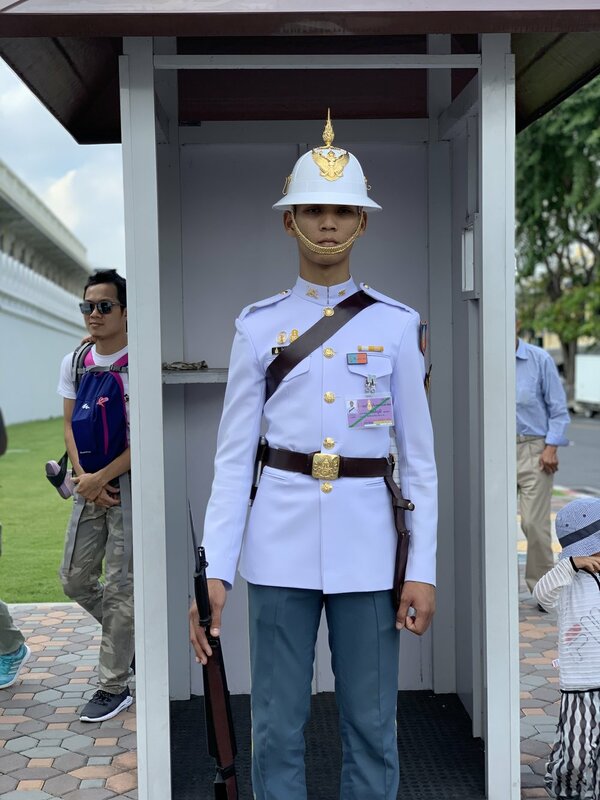 Take a look at my Instagram Highlight story from Bangkok HERE. My My My, I loved Chiang Mai!